Few brands say “Christmas spirit” quite as effectively as Marks & Spencer, and when we teamed up with the brand for the launch of its 2017 festive range, we saw its food halls transform into retail winter wonderlands. Offering up a whole host of magical ideas for the holiday season, from gifting and hamper options to seasonal nibbles that make the big day special, it’s a one stop shop for every foodie looking to get into the festive spirit. Avoiding gluten needn’t mean settling for second best this season. 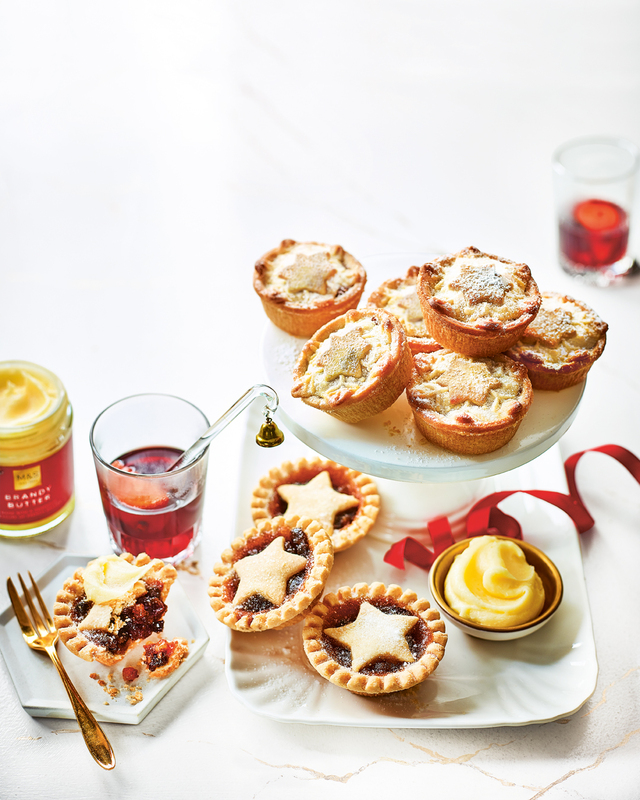 M&S grinds the flour used in its Made Without Wheat Gluten-free Mince Pies, Dhs25 for four, extra finely for a beautifully smooth texture. We can highly recommend serving your mince pies alongside virgin Mulled Punch, Dhs22, for a guilt-free indulgence whatever the time of day. Christmas is all about entertaining, so if unexpected guests stop by, it’s good to have a supply of biscuits to hand, ready to serve with a pot of tea. M&S Luxury Scottish Shortbread Biscuits are made in Edinburgh to a classic all-butter recipe, and come in a beautiful tin, Dhs75, that you’ll still be using long after the festivities have ended. And as the first brand to adopt a 100 per cent Fairtrade policy across its entire tea and coffee range, you can rest assured that your Christmas cuppa of Winter Chai Tea, Dhs28, comes with a side of good karma too. As the star of the M&S Christmas campaign this year (and a recent movie sequel), Paddington Bear is having a moment. Make the kids smile with a host of festive treats dedicated to their favourite cartoon character, from the Paddington Chocolate Advent Calendar, Dhs20, and jelly Paddington Treats, Dhs9, to the milk chocolate Paddington Pals, Dhs18, which come with stickers. Who doesn’t love a sweet treat in their stocking come Christmas morning? Indulge your loved ones with Marks & Spencer’s groundbreaking range of gourmet chocolates and sweets, crafted by the finest cocoa artisans to add a touch of class to any festive hamper. The Collection Fire and Ice Chest of Drawers, Dhs155, boasts six sensational chocolate flavours inspired by the flow and glow of lava, while The Collection Cocoa Dusted Liquid Salted Caramels, Dhs49, provide a perfectly balanced mouthful. Marks & Spencer chilled food is also available at Ibn Battuta, Dubai Festival City and Mall of the Emirates.